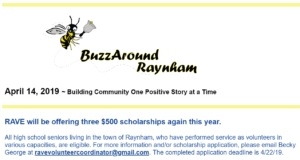 BuzzAround e -Newsletter launched in your town May, 2012; as of Jan 2019 we have 1910 Raynham subscribers. The area which would become Raynham was settled in 1639 as a part of Taunton, was founded by Elizabeth Poole, the first woman to found a town in America. In 1652, iron was found along the Two Mile (Forge) River, and the town claims to be the site of one of the first successful iron works in America, and the last of those early iron works to officially close (in 1872). The eastern end of Taunton was separated from that town and incorporated as Raynham (named for the English town of Raynham in County of Norfolk, England) on April 2, 1731. Many ships’ hulls were built along the Taunton River in Raynham, which were sailed down the river towards Fall River and Narragansett Bay for final fittings. The town also had other small manufacturing industries, but for the most part it was, and still is, known for its rural and agrarian base. The town is part of the Eighth Plymouth state representative district, which includes Bridgewater and part of Easton. It is also part of the First Plymouth and Bristol state senate district, which includes Berkley, Bridgewater, Carver, Dighton, Marion, Middleborough, Taunton and Wareham. Raynham is patrolled by Troop D (Southeast District), 4th Barracks (located in Middleborough) of the Massachusetts State Police. On the national level, the town is part of Massachusetts Congressional District 4. 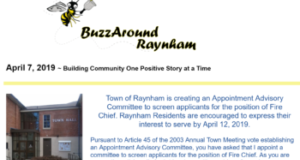 Raynham is governed by an open town meeting and elects a board of selectmen, which directs a full-time town administrator. The three members of the board of selectmen are elected at large on a staggered schedule. Basic services are centered around the town hall located at Raynham Center, including the police station and fire department. There are two post offices, located near Raynham Center and along Route 138 near North Raynham. The town also operates the Borden Colony Recreation Area, and there is a small State Forest in the town. Raynham belongs to the Bridgewater-Raynham Regional School District. There are three schools in Raynham: L.B. 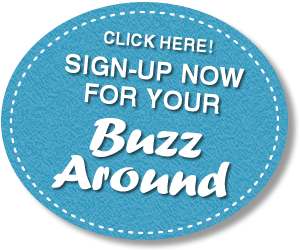 Merrill Elementary School, housing Pre-Kindergarten through 1st Grade, LaLiberte Elementary School, housing 2nd through 4th grades, and Raynham Middle School, housing 5th through 8th grades. Bridgewater-Raynham Regional High School, located in Bridgewater, houses 9th through 12th grades. The high school athletics teams are nicknamed the Trojans, and the primary colors are red and white, with blue trim. The school committee consists of eight members. High school students may also attend Bristol-Plymouth Regional Technical School, located in Taunton, or Bristol County Agricultural High School in Dighton.